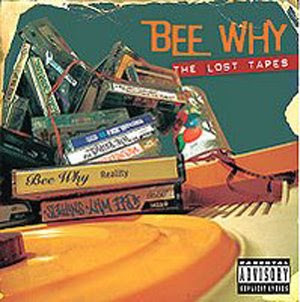 Bee Why “The Lost Tapes” features 13 rare and unreleased recordings from the Queens Emcee who first popped on the scene with his now highly collectable 12″ single “The Boros” back in 1997. He then released 2 more singles “Remember the Time” and “G.A.T.S”. Bee Why has made his mark in the underground Hip Hop scene with a then unknown producer Gee The Nutty Professor who later changed his name to Ayatollah. Ayatollah later produced many classics records for Mos Def , Tragedy Khadafi, Rakim, Masta Ace, Inspectah Deck, Cormega and many more. With all 13 tracks produced by Gee, it gives you a rare look into Ayatollah’s first recorded production which would later shape his hip hop sound.